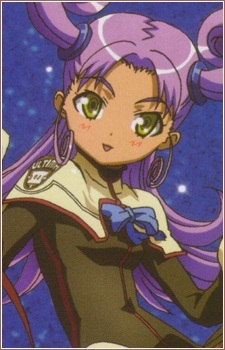 Rinna is a transfer student from the Ultima foundation, and considers Shipon to be both a friend and chief rival. Rinna is a few years younger than Shipon and most of the other students, but because there are few children at Ultima (it being the newest of the foundations, and still incomplete), she has little to do with herself but play with simulators. As a result, she's far better at piloting and zero-G movement than most people years older than her.